Dinamalar is one of the top regional media houses in India that is successfully leveraging the digital space. In May this year, it launched iPhone, iPad and followed up with an Android app in quick succession. It has seen a spurt of growth in its online traffic to 192 million, making it the highest among the newspaper websites in India, according to comScore. Techcircle.in caught up with Dinamalar's head of marketing (new media) Balasubramanian S. to discuss the traction seen so far on the digital front, challenges related to mobile apps, its bet on digital video, content creation for digital readers, consumption patterns and social media initiatives. What's the latest number of mobile apps downloads â€“ both for iOS and the Android platform? Do they meet your expectations? How is the traffic on Dinamalar.com faring? The iPhone app has reached 50,000 downloads, the iPad app has recorded around 9,000 and the Android app has witnessed 15,000 downloads. We did not set any target though. We knew there was a huge demand because our website was successful and decided to launch apps. Dinamalar.com has been gaining well in terms of traffic â€“ we get 192 million page views and have around two million unique users and 20.43 million visits per month. On an average, users visit the site once in three days. We have achieved this by focusing on the digital media and now have 75 per cent of the online market share, compared to other Tamil news sites. What has been your investment in new media? While other media houses are still planning their digital strategies, we have set up a full-fledged editorial team for the digital media alone. And this has been a long-term goal. Altogether, we have 40 people for the digital section, out of which the online team includes around 30 and the rest work for the mobile medium. This is separate from Dinamalar's print editorial team. Around 30 per cent of the content we produce is exclusively for the digital media and you won't find it in the print edition. 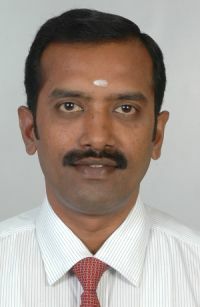 We set up Dinamalar.com in 1998 and worked on many redesigns and revisions. 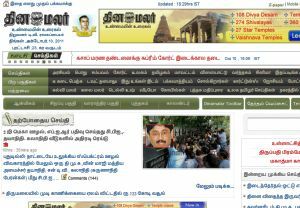 Currently, the homepage of Dinamalar.com gives an overview of all news items featured on the site. We have also introduced innovative ways to contextualise the content. There are special sections and microsites on the site for the world cup, the IPL and Ramadan where we showcase activities and images. Two years ago, we added video to the site. It had taken a bit of effort and we now have a 30-member dedicated video team with a separate studio to produce video content. We currently offer 360 degree videos of 5-6 churches, malls and temples, targeted at NRIs. We produce 60-70 videos per day and witness around two million streams on a monthly basis. The current video section is not a full-fledged one and archives are not present on the site. We will continue to work on it as I believe digital video has huge potential. Tell us more about your mobile strategy. We started focusing on mobile apps a year ago and released those in 2011. As our content was in Tamil, we had to wait for font support from the OS. The Android OS 3.5+ version supports Tamil fonts but we have made sure that even older versions of the OS, such as v1.6, support our apps. We did it because while 70 per cent of our iPhone users update their OS regularly, we found that Android users were not doing so. The challenges in terms of getting the fonts and user interface right took more time than capital. We have a dedicated team per platform for apps development. We worked with Robosoft for iPhone and iPad apps and also joined hands with Chennai-based Softcraft Systems for the Android app which has been launched in October. We will launch apps for BlackBerry, Windows 7 and the Symbian by the year-end. Can you share the user demographics on your site? Is there any specific trend when it comes to online content consumption? Around 40 per cent of the traffic is from India. Then there are readers from the USA, the UAE, Singapore, South Asia, the UK, Australia, Canada and Malaysia. We target the Tamil audience spread across the globe. We have also conducted a survey with help from JuxtConsult that shows 43.6 per cent of users are graduates or post-graduates, compared to 27 per cent of Internet users in India and 30.5 per cent news portal visitors. We have a dedicated, 10-member new media team to moderate user comments. It is not auto-moderated like other media sites. We have decided to do this as Dinamalar is a strong content-driven publication. Here, people absorb the news and add value to our content through comments. Tell us about your social media initiatives. We are in the process of rebuilding our social media section. Previously, we just had a presence on the social networking sites such as Facebook and Twitter. Now, we really want to engage with users via social media and have ramped up our efforts. The work is still in progress but we are building up to the standards of user expectations. Social network activities have increased recently and around 45 per cent of our regular readers now log in through social networking sites. In addition, we witness a lot of article-sharing and get lots of comments from users. We get around 3,000 comments a day, which clearly shows increasing interest in online regional news. How are you monetising the website now? Going forward, will you set up a paywall? We are not selling online inventory through ad networks on revenue share. We are selling ads on a PPM basis and are delivering an average of 500 million ad inventory on the site per month. We are looking at regional advertisers, who are still a niche lot. Our technology can serve city-wide across India, Canada and US and rest of the world - country-wide. We may adopt a freemium model. On the mobile front, advertising on mobile apps is still in its early stages. What is the long-term vision for Dinamalar's online content? We are more content-driven and this will keep us ahead. Users mostly look for solid news of social importance and this will be our differentiator. We are the market leaders online and none of our competitors are on the mobile space yet. We have got onto the bus first and we will take and maintain this lead.